Culture is certainly promoted all year round in Port Grimaud and not only during the summer when tourists are visiting our little village. Like a magician, who never reveals his tricks, Provençal Venice always has something new to offer. 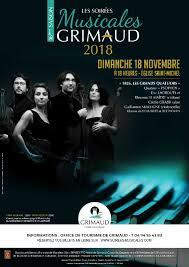 The autumn-winter season started on Sunday, November 18, with the brilliant entry of « the 1826, great Quartets ». The Psophos performed pieces of classical music in a venue with an exceptional heritage for a concert of an equally impressive quality. The guided tour of the port is among the most famous, and it takes place every Wednesday of the year. Colourful and enchanting with its picturesque alleys, this Mediterranean port is different from the others because of its canals which border the « fishermen’s houses » . Our lakeside city is brightened every Thursday and Sunday morning by a market where local products and seafood are on display. In short, everything that makes Provence so appealing! Discover the chapel of Notre Dame de la Queste, a major place of the Gulf pilgrimage because of its blessing on horses. 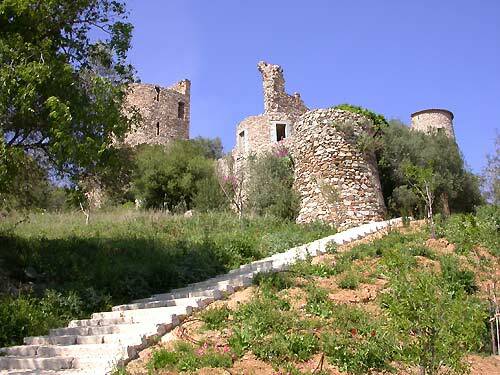 Many walks to be enjoyed on the Cirkwi site including Grimaud-Port Grimaud, Le Pont des Fées, Le Pierredon, la Calade, la Castellane and le Peyron. Le Just’in café, in which the management promises you dishes made with love, with fresh and quality products. Its casual table is packed with homemade burgers and fries, pizzas and salads with handmade desserts. The Santons offer you gastronomic dishes, where the local recipes are well known. This restaurant has been recognized by the Collège Culinaire de France. It is available for private events with a maximum of 50 people. Pizza Léone is open all year round for lovers of quality. You can enjoy pizzas made by a pizzaiolo graduate from the French Pizza School. Which can be eaten at the restaurant or taken away with a variety of sumptuous salads. La Bastide Blanche has a » contemporary and fusion » menu with a blend of subtlety and elegance. Its success is based on a concept whereby semi-gastronomy creates a lounge spirit where music is in the spotlight. Le Clem’s is a friendly and warm setting. It is a balance combining all levels of society and a sporting atmosphere. Its menus are also a combination of Provençal and traditional dishes. – L’Ecurie de la Marquise has a range of Niçoise specialities and pizzas which can be taken away or eaten at the restaurant while enjoying a cozy atmosphere with antique furniture. The mood is refreshing and its local dishes are complemented by a vintage cellar. – Le New-Burg offers a selection of burgers inspired by the French style. This steakhouse offers exceptional quality meats, but also fresh homemade fish and a wide range of salads. – Le Jas des Roberts: This is an exceptional site that hosts this restaurant, where traditional and Provençal dishes are served with a breathtaking view of the Grimaud region. Grilled meats, meats and fish are served on request. – Didier’s table is very welcoming and ideal for traditional dishes. It puts a lot of emphasis on products such as truffles and meats from many parts of the world. Fish lovers and vegetarians will certainly be delighted! La Table des Oliviers is open 7/7 days all year round. It has sophisticated and diverse dishes that will delight your taste buds while enjoying an exceptional view of the Gulf. A setting where Provençal charm blends with modernity. Le Terracota guarantees you « Epicurean Pleasures – An absolute Delight ». Its refined and aromatic dishes are inspired by Mediterranean cultures. « A real culinary journey to the land of flavours » as they say! Le Thai Boat, a fast food restaurant which is open every day for lunch and dinner on the go. Le Café Telline which has already featured in several articles on the blog here and there. La Pizzeria Don Peppe, an authentic Neapolitan pizzeria whose opening we recounted in these pages. We would never have enough words to describe all of them to you. We will tell you more about the restaurants below in future articles. Trattoria Pizzeria St Joseph – Pizza Italia – Le Monroe’s Brasserie – Pizzeria Don Peppe – La Caravelle – La Fontaine – La Spaghetta – Apopino Restaurant – Crêperie-Grill Le Boubou – Marina Lounge Bar and Restaurant – La Tartane – Le Murier. There are many other places with very good ratings, but they are closed during the off-season. 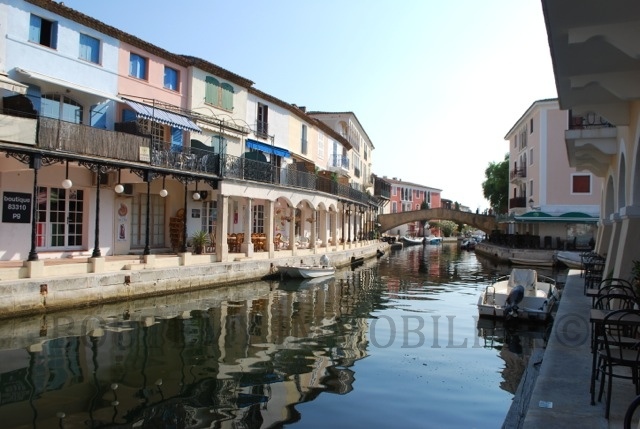 Whether it is around a beautiful table with your feet in the water or in one of the charming alleys of this medieval village, Port Grimaud offers a wide range of choices. Whether you want to learn about Provençal flavours or explore new horizons, our restaurateurs are here to serve you. Now, all we can do is wish you a « bon appétit »! Cette entrée a été publiée dans Non classé le 30 novembre 2018 par Boutemyblog.